Russian surface-to-air missile. Known in the west as the SA-2 Guideline, this weapon was responsible for the downing of more American aircraft than any missile in history. It was deployed worldwide beginning in 1957, and improvements and updates, many by third parties, continued into the 21st Century. AKA: Dvina;Guideline Mod 0,1;SA-2A,B;V(1D);V-750. Status: Active. First Launch: 1960-05-01. Last Launch: 1960-05-01. Number: 1 . Payload: 195 kg (429 lb). Gross mass: 2,287 kg (5,041 lb). Height: 10.60 m (34.70 ft). Diameter: 0.50 m (1.64 ft). Apogee: 30 km (18 mi). The S-75 first came to the world's attention when it downed an American U-2 spy aircraft at 20.4 km over the Soviet Union on May Day 1960. The Americans had thought the aircraft out of the reach of any Soviet missiles until then. It again downed a U-2 during the Cuban Missile Crisis on October 27, 1962. In American bombing of North Vietnam in 1965-1966 and 1972-1973, it downed from 68 to 105 American fighters and 15 B-52 bombers. Intense American countermeasures, including avoiding protected areas, jamming aircraft, chaff, and anti-radar missiles kept the loss rate low for the American fighters (less than 0.03% per fighter sortie over North Vietnam), but this statistic disguises the manner in which the S-75 dictated the air battle. The American fighters could fly under the S-75's envelope, but there they could be picked off by anti-aircraft guns, ground fire, and shoulder-launched missiles. Over 1000 American aircraft met this fate. When the B-52's flew directly over areas defended by S-75's during the Linebacker campaign of 1972-1973, they suffered losses of 3% per sortie. It was said that this was only achieved due to the Strategic Air Command's insistence on flying the same course night after night. Even in the face of jamming, the North Vietnamese could fire the S-75's, fused for altitude, into B-52 bomber formations with some success. It was also claimed that 2,000 S-75's were expended to achieve these 15 kills. But from the Soviet point of view, the S-75 was a success. From the point of view of US pilots, the 'flying telephone pole' was greatly feared. The S-75 continued to play a role in the Arab-Israeli wars of 1967 and 1973, the various wars in the Persian Gulf, and the Balkan conflicts. It was no longer the primary threat, but it could not be ignored and continued to set the context for the air battle into the 1990's. The S-75 story goes back to 1953, when a decree put P D Grushin in charge of a new design bureau, charged with developing the S-75 surface-to-air missile system. This began a career that spanned a period of 47 years, from 1953 to 2000. Grushin was named First Deputy to Lavochkin in 1951, and played an important role in the development of the S-25 Berkut surface-to-air missile system. In 1953 Section 32 of KB-1 under D L Tomashevich was developing the 32B surface-to-air missile (consisting of a solid propellant booster stage developed by I I Kartukov, and a liquid propellant second stage powered by Isayev S2.168 and S2.168L engines). When KB-1 was shut down in 1953, further development of the missile concept, now designated S-75, was passed to the new OKB-2 GKAT, with Grushin as its chief designer. His engineers were moved from Podlipki to the empty Factory 293 in Khimki. Their special task - to develop the first mobile surface-to-air missile, the S-75. Grushin was also made responsible at that time for the first Soviet guided anti-tank missiles, the RS-1-U and RS-2-U. The S-75 surface-to-air missile would consist of a 1D (V-750) cruise stage, with an Isayev S2.711 engine, and a solid propellant booster by Kartukov's KB-2 Factory 81 GKAT. Isayev had begun development of the engine in accordance with the decree of 1 October 1954. It was the first Isayev engine using a gas generator-powered turbopump for propellant feed. The gas generator was powered by OT-155 monopropellant to ensure a quick start and build-up to full thrust. D D Sevruk at OKB-3 was tasked with building a competing motor design, and both motors reached the stage of flight trials. Isayev's was judged the more successful, and in 1955 Factory 82 began series production of the S2.711 engine. In November 1957 the V-750 missile and S-75 Dvina surface-to-air missile system were accepted into service. During production a modernized S2-711V1 engine with 3100 to 3452 kgf was introduced to power the improved V-750V rocket. This missile was eventually produced in many versions and exported to dozens of countries, and became known in the West under its American code name, the SA-2 Guideline. It was responsible for the first operational shooting down of an aerial target by a surface-to-air missile - a U-2 over China in 1959 (according to Soviet sources - according to Western sources, the first loss of a U-2 over China was in 1962). The shoot down of Gary Powers' U-2 over Russia has been attributed by some to a V-750 (but other accounts say it was an S-25).On 24 July 1965 a single V-750 shot down three US aircraft over Vietnam (according to Soviet sources - Western sources say only one aircraft was downed). Thousands of aircraft were shot down using the S-75 system in the course of that war. The missile was produced in an enormous number of variations over the years, with such designations as V-750V, V-750VK, V-750VN. Maximum target speed 2160 kph. Radars: P-15/1RL13 Flat Face target acquisition radar, C band, range 250 km. SNR-75 Fan Song A target tracking radar, E band, range 120 km. P-12/1RL14 Spoon Rest early warning radar, A band, range 275 km. P-10 Knife Rest B/C early warning radar, A band, range 280 km. PRV-11 Side Net height finding radar, E band, range 180 km. Maximum range: 30 km (18 mi). Maximum speed: 2,160 kph (1,340 mph). Minimum range: 10 km (6 mi). Initial Operational Capability: 1957. Floor: 500 m (1,640 ft). Surveillance Radar: Spoon Rest/E. Tracking Radar: Fan Song /E/G. Prithvi Indian single-stage short range ballistic missile developed from upper stage of Soviet S-75 surface-to-air missile. First units deployed in 1995. Used as an upper stage in the Agni test system. Al Samoud Iraqi single-stage short range missile derived from second stage of Guideline surface-to-air missile. Fahd Iraqi short range ballistic missile development based on the Russian S-75 surface-to-air missile. HQ-2J Chinese surface-to-air missile. HQ, Hong Qi = Red Flag, medium/long range SAM, similar to SA-2. Family: surface-to-air. Country: Russia. Engines: Isayev V-750V. Agency: Almaz bureau, Grushin. Bibliography: 563, 571. 1960 May 1 - . 05:53 GMT - . Launch Site: Sverdlovsk. Launch Vehicle: S-75. U-2 intercept - . Nation: Russia. Apogee: 20 km (12 mi). 1992 May 5 - . Launch Site: Balasore. LV Family: S-75. Launch Vehicle: Prithvi. 1992 August 18 - . Launch Site: Balasore. LV Family: S-75. Launch Vehicle: Prithvi. 1992 August 29 - . 05:13 GMT - . Launch Site: Balasore. LV Family: S-75. Launch Vehicle: Prithvi. Nation: India. Agency: IDRDL. Apogee: 100 km (60 mi). 1993 February 7 - . Launch Site: Balasore. LV Family: S-75. Launch Vehicle: Prithvi. 1993 June 1 - . Launch Site: Balasore. LV Family: S-75. Launch Vehicle: Prithvi. 1993 November 30 - . Launch Site: Balasore. LV Family: S-75. Launch Vehicle: Prithvi. 250 kg RV - . Nation: India. Agency: IDRDL. Apogee: 100 km (60 mi). 1994 June 4 - . Launch Site: Balasore. LV Family: S-75. Launch Vehicle: Prithvi. 1994 June 6 - . Launch Site: Balasore. LV Family: S-75. Launch Vehicle: Prithvi. 2000 June 16 - . 08:45 GMT - . Launch Site: Balasore. LV Family: S-75. Launch Vehicle: Prithvi. 2001 March 31 - . 06:00 GMT - . Launch Site: Balasore. LV Family: S-75. Launch Vehicle: Prithvi. Solid fuel test - . Nation: India. Agency: IDRDL. Apogee: 100 km (60 mi). 2001 December 12 - . 05:11 GMT - . Launch Site: Balasore. LV Family: S-75. Launch Vehicle: Prithvi. Prithvi-2 test - . Nation: India. Agency: IDRDL. Apogee: 100 km (60 mi). 2003 March 26 - . 06:00 GMT - . Launch Site: Balasore. LV Family: S-75. Launch Vehicle: Prithvi. Prithvi-2? - . Nation: India. Agency: IDRDL. Apogee: 100 km (60 mi). 2003 April 29 - . 05:50 GMT - . Launch Site: Balasore. LV Family: S-75. Launch Vehicle: Prithvi. 2004 January 23 - . Launch Site: Balasore. LV Family: S-75. Launch Vehicle: Prithvi. 2004 March 19 - . Launch Site: Balasore. LV Family: S-75. Launch Vehicle: Prithvi. Prithvi-3 - . Nation: India. Agency: IDRDL. Apogee: 50 km (31 mi). 2004 October 27 - . 05:59 GMT - . Launch Site: Balasore. Launch Complex: Balasore IC3. LV Family: S-75. Launch Vehicle: Prithvi. Prihtvi-3 - . Nation: India. Agency: IDRDL. Apogee: 50 km (31 mi). 2005 April 8 - . 06:30 GMT - . Launch Site: Balasore. LV Family: S-75. Launch Vehicle: Prithvi. 2006 June 11 - . 08:10 GMT - . Launch Site: Balasore. LV Family: S-75. Launch Vehicle: Prithvi. User Trial - . Nation: India. Agency: IDRDL. Apogee: 50 km (31 mi). 2006 November 26 - . Launch Site: Balasore. Launch Complex: Balasore IC3. Launch Pad: IC3?. LV Family: S-75. Launch Vehicle: Prithvi. Test launch - . Nation: India. Agency: IDRDL. Apogee: 100 km (60 mi). 2006 November 27 - . 04:45 GMT - . Launch Site: Balasore. Launch Complex: Balasore IC3. LV Family: S-75. Launch Vehicle: Prithvi. Target (P2) - . Nation: India. Agency: IDRDL. Apogee: 100 km (60 mi). A modified Prithvi II SRBM was fired from the Chandipore test range, Balasore, about 250 kilometers north of Bhubaneswar..
2006 November 27 - . 04:46 GMT - . Launch Site: Balasore. Launch Complex: Balasore IC4. LV Family: S-75. Launch Vehicle: Prithvi. Intercept (P2) - . Nation: India. Agency: IDRDL. Apogee: 100 km (60 mi). ABM interceptor test. The interceptor, a modified Prithvi II, was fired from Wheeler's Island in the Bay of Bengal..
2007 May 9 - . 05:10 GMT - . Launch Site: Balasore. LV Family: S-75. Launch Vehicle: Prithvi. 2007 December 6 - . 05:30 GMT - . Launch Site: Balasore. Launch Complex: Balasore IC3. LV Family: S-75. Launch Vehicle: Prithvi. AAD Target - . Nation: India. Agency: IDRDL. Type: ABM Target. Apogee: 50 km (31 mi). 2009 March 6 - . 10:57 GMT - . Launch Site: Balasore. Launch Complex: Balasore IC4. LV Family: S-75. Launch Vehicle: Prithvi. PAD Interceptor 3 - . Nation: India. Agency: IDRDL. Type: ABM Target. Apogee: 75 km (46 mi). 2010 March 27 - . 00:18 GMT - . Launch Site: Balasore. LV Family: S-75. Launch Vehicle: Prithvi. RV - . Nation: India. Agency: IDRDL. Apogee: 100 km (60 mi). Test launch. 2010 June 18 - . 01:20 GMT - . Launch Site: Balasore. Launch Complex: Balasore IC3. LV Family: S-75. Launch Vehicle: Prithvi. Test - . Nation: India. Agency: ISFC. Apogee: 100 km (60 mi). 2010 July 26 - . Launch Site: Balasore. Launch Complex: Balasore IC3. LV Family: S-75. Launch Vehicle: Prithvi. AAD Target - . Nation: India. Agency: IDRDL. Type: ABM Target. 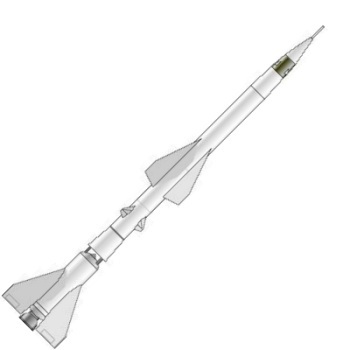 Apogee: 100 km (60 mi). 2010 December 22 - . 02:45 GMT - . Launch Site: Balasore. Launch Complex: Balasore IC3. LV Family: S-75. Launch Vehicle: Prithvi. Test - . Nation: India. Agency: ISFC. Apogee: 50 km (31 mi). 2010 December 22 - . 03:45 GMT - . Launch Site: Balasore. Launch Complex: Balasore IC3. LV Family: S-75. Launch Vehicle: Prithvi. 2011 March 6 - . 04:02 GMT - . Launch Site: Balasore. Launch Complex: Balasore IC3. LV Family: S-75. Launch Vehicle: Prithvi. 2012 February 10 - . 04:40 GMT - . Launch Site: Balasore. LV Family: S-75. Launch Vehicle: Prithvi. Target - . Nation: India. Type: ABM Target. Apogee: 100 km (60 mi). Target. 2012 November 23 - . 07:22 GMT - . Launch Site: Balasore. Launch Complex: Balasore IC3. LV Family: S-75. Launch Vehicle: Prithvi.